Charles P. Rogers excels at manufacturing mattresses that offer many reliable features to help you enjoy a quality sleep. If you cannot sleep properly throughout the night, then it may be because of an old or uncomfortable mattress. Buying a new, high-quality mattress is recommended if you want to sleep like a baby throughout the night. Charles P. Rogers offers mattresses of such standards. 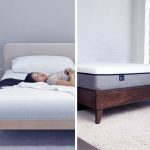 This article reviews Charles P. Rogers mattress to help you decide whether it suits your sleeping needs and preferences. Being one of the oldest mattress brands, Charles P. Rogers is able to offer exceptional features and advantages when it comes to various mattress aspects. Over the years, the company has improved their mattresses a lot in terms of performance and features. Nowadays, you can easily find a specific mattress model from Charles P. Rogers to satisfy all your needs and preferences. The Nano spring technology of Charles P. Rogers is truly unique and one of the significant reasons why their mattresses are popular among customers. These mattresses stay in shape for years thanks to dense base layers they are equipped with. Some key characteristics of the mattresses include the use of individual pocket coils for maximum comfort and support, state-of-the-art spring system and high quality padding and fabrics for durability, hypoallergenic and soft cover fabric for superior finishing, and the use of quality materials for layers including cool gel foam, cradling bio memory foam, Talalay latex, etc. to provide the best support and feel for years to come. Apart from mattresses, Charles P. Rogers also offers many other products associated with bedding. These include bedding and linen accessories, structural frames, etc. You can buy them online from their website as well as retail location such as New York City and East Rutherford, New Jersey. You want a durable mattress – As they are equipped with the top-notch innerspring system, Charles P. Rogers mattresses are highly durable. They are a good choice if you want to buy a mattress for long-term use. You are a hot sleeper – Charles P. Rogers mattresses feature multiple layers that are equipped with cooling materials such as cool gel foam, Latex, etc. This makes these mattresses ideal for hot sleepers. You prefer the ease of movement – Innerspring mattresses are known for their enhanced motion transfer properties and Charles P. Rogers is no exception. They are a good choice for couples. You want a mattress with strong edge support – Edge support is another area where Charles P. Rogers mattresses excel. You won’t feel insecure when changing positions on a Charles P. Rogers mattress. You want good value for money – You will definitely love Charles P. Rogers if you are looking to buy a mattress that offers good value for money. They are reliable, durable, feature-rich, and reasonably priced. Charles P. Rogers mattresses feature a soft cover that has hypoallergenic properties, allowing you to sleep throughout the night while enjoying maximum comfort and feel. All sides of the cover have superior finishing. The fabric it is made from is also breathable. It helps cool the sleeper’s body throughout the night. The cover is also washable and easy to clean. Overall airflow is good that helps regulate the temperature. Furthermore, the cover has average thinness, features a modern design, and gives a sturdier feel. The properties of the cover slightly vary depending on the model of the mattress. For example, the St. Regis series features a cover that is knit from a blend of synthetic fabric and cotton. The Powercore Estate series features a cover that is knit from woven border fabric. No matter which model you buy, you can rest easy knowing that the cover of Charles P. Rogers is high quality and can be easily compared with covers of popular mattresses available on the market. Charles P. Rogers excels at manufacturing innerspring mattresses. A wide range of models are available and each of them has different construction configuration. The St. Regis series, for example, has two models. The standard model in this series is made of high-density polyfoam, memory foam, and cotton. The Latex Pulse model is made of latex. Both models feature innerspring support cores. The Powercore Estate collection has three models and each of them has different construction configurations. They have one thing in common though; they all feature innerspring support core. Estate 5000 The Estate 5000 features a layer of Talalay latex. It is an extra-firm layer, making this specific model relatively firmer than others. 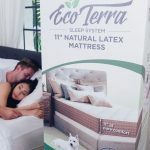 Estate 7000 The Estate 7000 Extra Comfort is similar to the Estate 5000 with one significant difference that it features a layer of soft Talalay latex. Estate 9000 The Estate 9000 Luxury Plush adds one more feature; a layer of latex gel. The Powercore Nano series have models that feature a soft Talalay latex layer, a middle soft Talalay latex layer, and a bottom NanoCoil layer. Just as different models of Charles P. Rogers feature different constructions, they also have different firmness levels. Powercore Estate The Powercore Estate series features firm layers, making it ideal for individuals who sleep on their back or stomach. Powercore Nano Powercore Nano model offers relatively less firmness and focuses more on increased softness and comfort. St. Regis As compared to the above series, the St. Regis collection offers both support and comfort, making it ideal for all kinds of sleepers. This property makes St. Regis models all-around performers. 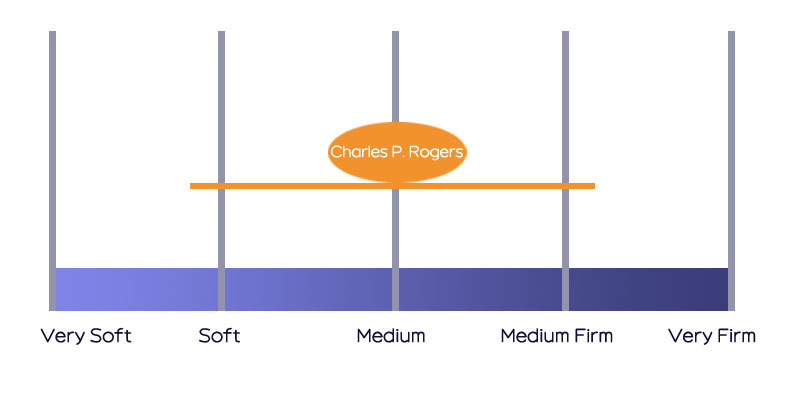 Since different models of Charles P. Rogers have different firmness levels, it is worth mentioning that each of them requires a certain type of foundational support. According to the company, you will need to use an appropriate frame in order to enjoy maximum effectiveness of firmness. Charles P. Rogers mattresses sleep relatively cool. Most of their mattress models feature multiple layers of latex. Latex is naturally cool, it relieves pressure points by gently cradling the sleeper and improves circulation. It responds to the body’s heat well. Apart from Latex, Charles P. Rogers mattresses also feature cool gel foam that helps keep the sleeper calm and fresh throughout the night. Apart from the layers, the cover of these mattresses also helps keep body temperature regulated throughout the night. Over the years, Charles P. Rogers mattresses have improved a lot in terms of cooling and breathability. Nowadays they feature exceptional cooling properties that rival some of the most popular mattress brands available on the market. Motion transfer is one of the primary concerns for couples and it is one drawback of many high-quality mattresses nowadays. But you don’t have to worry about it if you have a Charles P. Rogers mattress. Innerspring mattresses are well-known for their enhanced motion transfer properties as compared to many other types of mattresses. 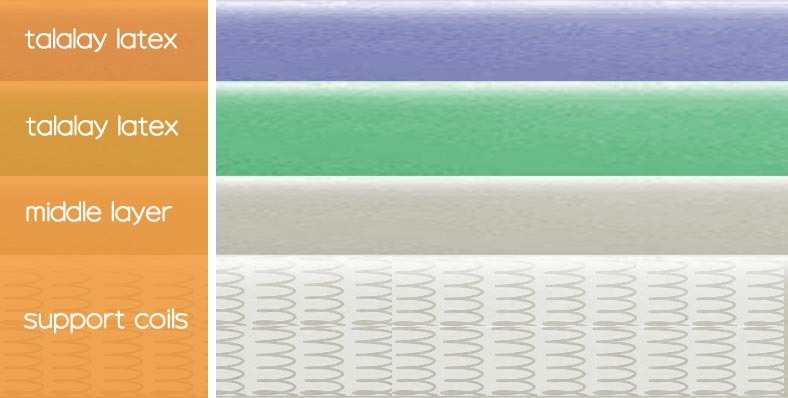 As Charles P. Rogers mattresses contain innerspring support cores, you can expect little to no motion isolation. So if you or your partner tends to move a lot throughout the night, Charles P. Rogers mattress is a good choice for you. Motion transfer may be slightly noticeable on the Powercore Nano series of Charles P. Rogers. But still, it is relatively lower than most other mattresses. Innerspring mattresses generally have good edge support. In fact, it is better than memory foam mattresses. So this is another great advantage of Charles P. Rogers mattresses. You will feel pretty even supported from the mattress’s center to the side when you lie near the side of Charles P. Rogers mattress. Furthermore, you won’t feel insecure when changing your position and rolling around a bit on the mattress because it doesn’t cause the side to collapse. You also won’t notice any compression when hanging off the side of the mattress. All in all, you won’t be disappointed in the edge support of Charles P. Rogers. You won’t notice any off-gassing issue from Charles P. Rogers mattress. This is because of the latex gel layers and innerspring system used in it. The other reason there is little to no off-gassing is that there are no harmful chemicals used in the manufacturing of Charles P. Rogers mattresses. As far as eco-friendliness is concerned, Charles P. Rogers does not use any solvents in the assembly and constructions of their mattresses. Furthermore, the steel used for the innerspring system is also recycled. Apart from this, Charles P. Rogers only uses foams and fabrics that are CertiPUR-US and Oeko-Tex certified. 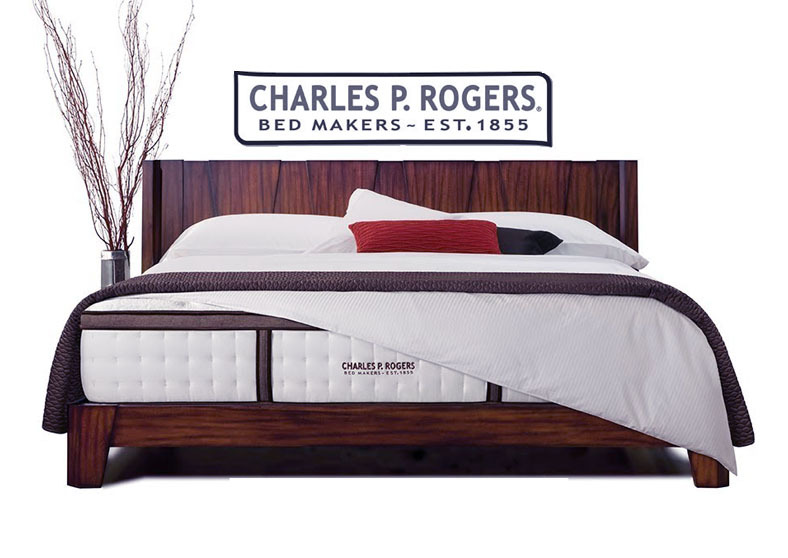 Charles P. Rogers is a renowned mattress brand that is highly perceived by customers due to its years of experience and quality of products and services. The company specializes in manufacturing mattresses that are not just reliable, but also functional. Charles P. Rogers offers a wide variety of mattresses and their different mattress series/collections have different cooling and firmness levels to suit a wide range of sleeper preferences. Furthermore, these mattresses have above-average lifespans, they offer strong edge support, and are also good when it comes to temperature regulation. From all the things mentioned above, it can be concluded that Charles P. Rogers mattresses offer good value for money. Charles P. Rogers does not sell its mattresses on Amazon.com. If you want to buy online, then you will need to visit the manufacturer’s website. All types of mattresses from the company are shipped in a box. The mattress can be shipped to any address in Canada, United States, as well as some selected international destinations. Shipping rates vary depending on many factors. The exact rate is provided once you select the specific mattress model and your destination. The total cost depends on many factors including the shipping option you choose, mattress size, delivery destination, etc. Both standard and express shipping options are available. For express shipping, you will need to place an order before 11 AM local time. Charles P. Rogers offers front-door delivery service. The company achieves that by coordinating all shipping via ground courier services. You can expect your mattress to be received within ten business days. The next-day expedited delivery option is also available. It costs more than the standard delivery option. Once you place an order and fulfill all requirements, you will receive an email confirmation from the company. It is recommended that you contact the company immediately if you do not receive a confirmation email. You can cancel your order at any time. Canceling the order before your mattress is shipped will not cost you any extra charges. However, canceling the order will incur additional charges if the mattress has been shipped. Charles P. Rogers offers 90-night sleep trial on all their mattresses. Keep in mind that you will need to use the mattress for at least 30 nights before asking for a refund. You cannot ask for a refund before this period. You can contact the company’s customer service division to submit your refund request. Different series of the mattress from Charles P. Rogers come with different warranties. For example, Powercore Nano and Powercore Estate mattresses have 25-year warranties. The prorated coverage is 20 years. The warranty covers issues related to both materials and craftsmanship. In conclusion, the reputation of Charles P. Rogers is well-earned. The company’s capability to deliver what it promises is unparalleled. A mattress from Charles P. Rogers might just be what you need to enhance the quality of your sleep.